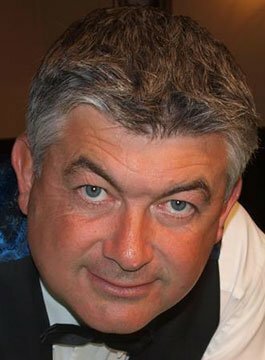 John Parrott MBE is a Snooker Legend, Broadcaster and After-Dinner Speaker. Parrott was born in Liverpool on 11th May 1964. His career in snooker started in 1981, when he won the Pontins Junior Championship. In 1982 he was runner up in the national uner-19 event, losing to Neal Foulds in the final but went on to win the Pontins Open Championship and Junior Pot Black. After he took that latter title again in 1983, he turned professional having reached the final of the English Amateur Championship. John Parrott made a dream start to his pro career reaching the semi-final of the Lada Classic and the last 16 of The World Championship. He beat some of the game’s top players and finished the season 20th in the rankings, already being spoken of as a future world champion. John went on to win the Pontins Professional Championship, The World and UK Championships – only one of three players ever to do both in the same year. He has been European Champion three times and has won tournaments in nine different countries including China, Dubai, Monaco, Thailand, France and Belgium. He is also one of four players to have scored over 200 centuries in tournament play and the only player ever to have won all four matches at Pontins. He has won in excess of three million pounds in prize money and remains one of the most popular players around. Only Hendry and Steve Davis can better his Crucible record of eight quarter-finals, one semi, one runner-up and one victory. He is a lifelong Everton fan and a keen follower of horse racing. Nowadays he combines his snooker career with a highly successful television one. As a former team captain in A Question of Sport, he brought a new dimension to the show and is in regular demand for his comments on TV snooker broadcasts. In 1996 he was awarded an MBE in the Queen’s Birthday Honours Lists. With his charismatic personality, John is an engaging and humorous after dinner speaker, and also an excellent awards host. An established “face” on the after dinner circuit, you are sure to enjoy the company of a personable and professional individual.